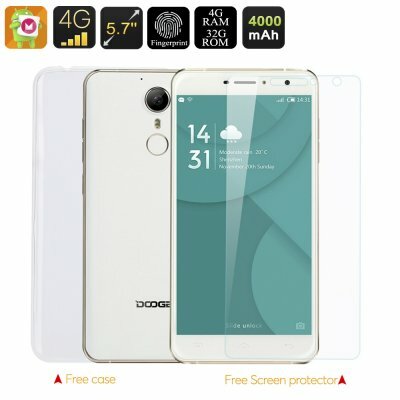 Successfully Added Doogee F7 Pro Smartphone - 5.7 Inch FHD Display, Helio X20 Deca Core CPU, 4GB RAM, Android 6.0, Fingerprint Scanner (White) to your Shopping Cart. The Doogee F7 Pro comes with a 4000mAh battery meaning that this 4G Phablet is able to satisfy all your needs for the entire day. Boasting a Deca-core (ten core) Helio X20 CPU clocked at 1.85GHz and with 4GB of RAM the Doogee F7 Pro is lauded as one of the world's first mobile phones with a Tri-Cluster CPU architecture and ten processing cores. As you would expect this powerful combo brings an extremely impressive computation performance that's unmatched. All this means the F7 Pro can take your phone and mobile gaming experience to the next level. With a 5.7 inch large display that offers up 1080P resolutions the Doogee F7 Pro shines when it comes to gaming and watching videos. Having 4G connectivity ensures you can stream Full HD videos direct to the phone so even on the go you can kept entertained with great content. The Doogee F7 Pro lacks an expandable memory card slot but with 32GB of built-in storage and OTG support, it's unlikely to ever be an issue. As the Doogee F7 Pro uses a USB type C connector you will be able to enjoy faster data connections when using low powered drives to it such as memory pens or for transferring files from your computer. It appears almost every other smartphone has a fingerprint scanner nowadays, but with a response time of just 0.1 seconds, the amazingly quick fingerprint sensor on the Doogee F7 Pro has to be one of the fastest. A built-in 4000mAh battery offers enough talk time and allows the phone to last up to 3 days in standby. 8MP front and 21MP rear cameras will be sure to bring out the photographer in you as snapping selfies, capturing memorable photos or recording video in 3840x2160 are all easy in the Doogee F7 Pro. 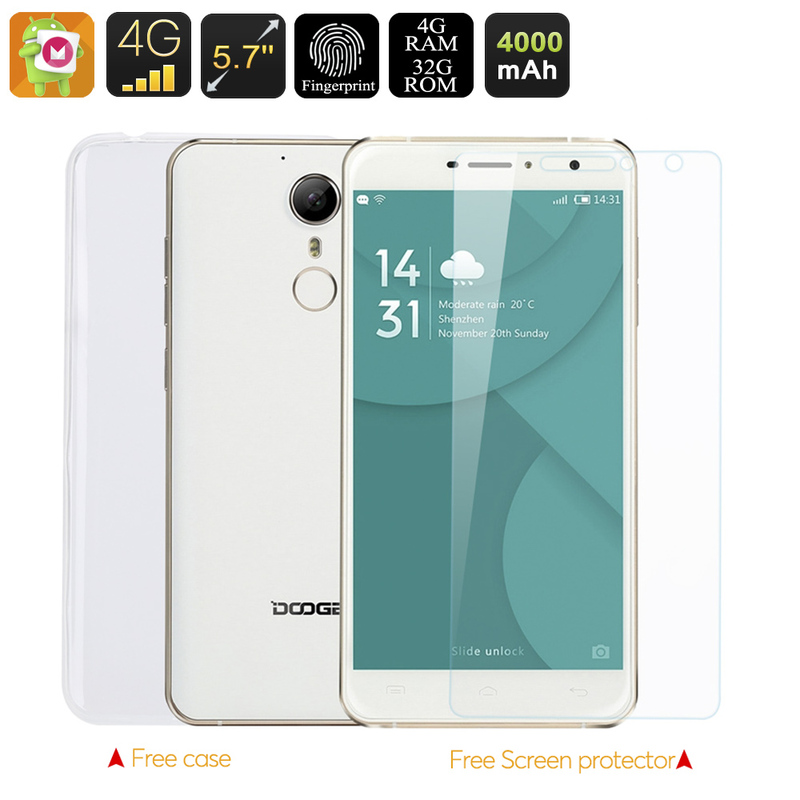 The Doogee F7 Pro smartphone comes with a 12 months warranty, brought to you by the leader in electronic devices as well as wholesale Android smartphones..